Walt Disney Co. has set a benchmark in quarterly profit in the entertainment segment reporting a rise of 11% in third quarter since last year. The company reported gross profit of $2.483 billion in its fiscal third quarter. The company’s revenue went up 5% to $13.1 billion. One of the highlights in the remarkable results for the quarter completing on June 27, included per share earnings of $1.45. With this, the company beat the analysts' estimates of $1.42. When compared with last year, the per share earnings rose 13% in third quarter. “The strong results across our many diverse lines of business demonstrate the power of our unparalleled brands, franchises and creative content," stated Disney Chairman and Chief Executive Robert Iger. According to reports, Walt Disney Co. has won an extension of 30 years of a moratorium on ticket taxes in Anaheim, California. Reports say that it has assured to spend $1 billion in its two parks there in return. It has been reported that Walt Disney Co has won a 30-year extension of a special tax exemption for those who visit the popular park Anaheim, California and will be investing $1 billion in its two parks at the same place. As per reports, the City Council voted 3-2 in order to give the company an exemption from any entertainment tax in future that could be charged on tickets to the Disneyland Resort. On Thursday, the Walt Disney Company declared a cash dividend of $0.66 per share for the first six months of fiscal 2015. With this dividend, Disney will begin paying dividends on a semi-annual basis, rather than once a year. Robert A. Iger, Chairman and Chief Executive Officer, said, "Disney delivered significant increases in revenue, net income and EPS for the first half of fiscal 2015. We are pleased to raise our dividend 15% on an annualized basis, as well as increasing the frequency of our dividend payments". The company posted record profit for the past four years as investments in films and theme-park attractions drew more customers to its properties. The top two domestic films of 2015 are 'Avengers: Age Of Ultron' and Cinderella. According to reports, Walt Disney has replaced nearly 250 employees with Indians on H1-B visa. And now, a US Senator has demanded an investigation into the 'potential misuses' of the popular H1-B visa programme. Democratic Senator Bill Nelson of Florida has demanded the probe into the temporary visa programme for highly skilled immigrants. He asked for the probe following a report in The New York Times that claimed that technology employees at Walt Disney World in Orlando and other companies were replaced by immigrants and even had to train their replacements. As per a report, Nelson asked Homeland Security Secretary Jeh Johnson to examine 'potential misuses' of the H-1B visa programme. Washington, Nov 05 : A new deal signed by Disney has reportedly brought together arch-rivals, Apple and Google, who are now sharing content on their competing digital devices. 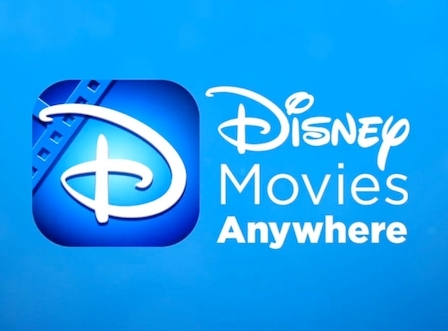 The newly launched Disney Movies Anywhere app allows users to burn through the firewall separating Apple and Google, reported the CNN. A new partnership was forged between the Walt Disney Studios (DIS) and Google Play on Tuesday that will enable Android users to watch movies from Disney, Pixar and Marvel. The Walt Disney Company has said that it will cut its funding for the Boy Scouts of America from the year 2015 due to tis policy that bans gay adult from becoming leaders in the organisation. The Boy Scouts organization said that it is disappointed by the decision by the Walt Disney Company. Deron Smith, a Boy Scouts spokesman said in a statement that the cut in funding will impact the organization's ability to serve children. Disney does not offer direct funding to the organisation but donates money to some troops in exchange for volunteer hours completed by Disney employees. New Delhi, Dec 9 : Anil Kapoor and his daughter Rhea have joined hands with Walt Disney Studios to co-produce "Khoobsurat", a remake of the 1980 Rekha starrer "Khubsoorat". Sonam Kapoor will be seen playing the happy-go-lucky girl, essayed by Rekha with elan in the earlier Hrishikesh Mukherjee directed family entertainer. Her character Mili is vivacious and is responsible for turning the lives of a royal family upside down. It also stars Kirron Kher, Ratna Pathak Shah and Amir Raza Hussain. Walt Disney has said that its earnings have risen 12 per cent during the company's fiscal fourth quarter, which is higher than market expectation. The company's earning was boosted by new video game "Disney Infinity" and improved movie studio results. The worse-than-expected performance from Disney's stalwart pay TV unit resulted in a fall in the stock value for the firm during the quarter. Disney's pay TV division has recorded steady income allowing the company to maintain growth. Walt Disney has said that it is extending Robert Iger's tenure as chief executive officer until June 2016, which would postpone his planned succession during the next year. The company said in a statement that, Mr. Iger will continue to work as both the chairman and CEO until 2016. Under earlier plans, he was to leave the title of CEO on April 1, 2015 but the company extended the tenure citing the need for continuity and his record of success at the world's largest entertainment company. Mumbai, March 12 : Disney is focusing on India's media and entertainment, which is estimated to touch Rs. 917 billion ($17 billion) in 2013, not only because the industry here is poised for a huge leap forward, but because of the rapidly rising middle-class of consumers and their traditional focus on the family, said Andy Bird, chairman of Walt Disney International. Walt Disney Co is planning to acquire Lucasfilm Ltd, which created the "Star Wars" series of popular films, in a deal valued at about $4.05 billion in cash and stock. Disney will acquire the firm from founder George Lucas, who established Lucasfilm in 1971. Disney is expected to half of the $4.05 billion in cash and the remaining through an issue of 40 million shares after the deal is closed. This will be the first major acquisition by Disney since it bought Marvel Entertainment in 2009 for $4.24 billion. According to a Reuters report, Eolas Technologies and the Regents of the University of California filed a patent lawsuit against Walmart, Facebook, and the Walt Disney Co., in the District Court for the Eastern District Court of Texas on Wednesday. Going by the claims put forth in the patent-infringement lawsuit, the three bigwig companies have allegedly violated four patents - the '906, '985, '293 and '662 patents - which chiefly facilitate the hosting of embedded interactive applications by Internet browsers. US-based Walt Disney Company is acquiring the media and entertainment firm UTV Software Communications by purchasing stakes from Rohinton Screwvala, Unilazer and Unilazer HK. The agreement between Rohinton Screwvala, Unilazer Exports and Management Consultants Ltd, Unilazer Hong Kong Ltd and The Walt Disney Company (South East Asia) Pte Ltd has been terminated starting from 2 February, according to a filing by UTV Software Communications with the Bombay Stock Exchange (BSE). The world’s biggest theme-park operator, Walt Disney Co. is planning to acquire Mumbai-based UTV Software Communications Ltd. and delist the company. The new move is part of its strategy to expand its business in the South Asian nation's fast-growing media industry. The Walt Disney Company India and UTV Motion Pictures have announced an agreement according to which The Walt Disney Studios will take charge of home entertainment distribution for some of the key titles from the UTV Motion Pictures studio. The list of the titles to be distributed under the deal includes blockbusters like Raajneeti, What's Your Raashee?, Aage Se Right, Udaan, Harishchandrachi Factory and I Hate Luv Storys. Walt Disney has showed interest to acquire the mobile gaming company Tapulous, reports the Wall Street Journal. Tapulous is basically a start-up initiative that is based in Palo Alto California and has been accredited for developing mobile games platforms such as Tap Tap series and Riddim Ribbon for Apple's devices like iPod Touch, iPad, and iPhone and Twinkle for micro blogging site Twitter. This more of a confirmed report as initial step will involve developing games for upcoming gaming platforms. Changing names could well be beneficial, at least that is what Walt Disney (India) believes. And that is why the US-based entertainment company has decided to coin a new name for it. From now on, it would be called Indian Walt Disney. This is a way in which the company wants to set recognition and connect with the Indian audience. That is needed because it wants to be able to increase its market share in the emerging market especially India. The Walt Disney Company is reported to be in a bid to boost its production initiatives in India as the company initiates with betting big on localization and charting a roadmap to make 14 new family-oriented films in India. Among the projects, five of them are believed to be in advanced stages of planning. The biggest Media and entertainment king and the heart throb of millions of children, worked well this quarter treading in the toughest waters of economic meltdown. While Disney beats the expectation in the fiscal quarter its party time for the Entertainment's biggest player as it is hoping for its upcoming projects in the line with the added attraction to its theme parks and resorts.